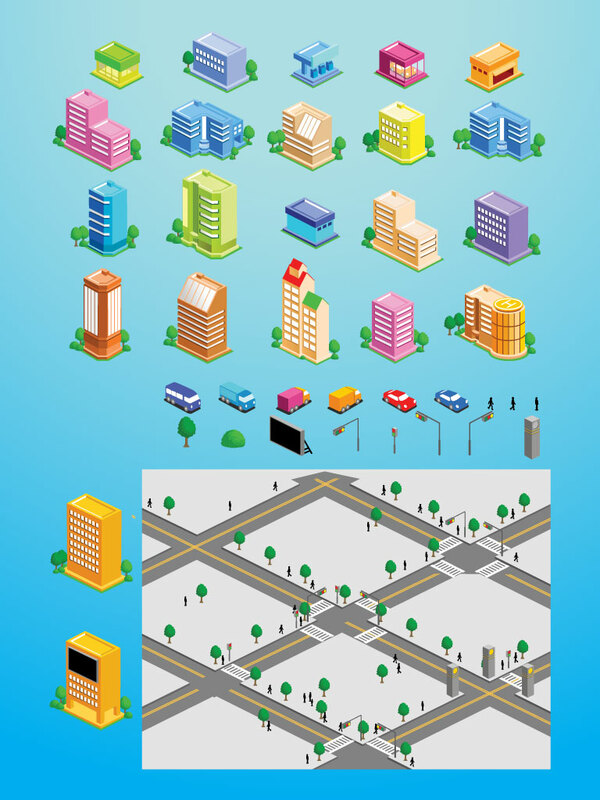 This building vector pack includes; offices, hotels, apartments, banks, service station, billboards, car, roads and a park. Cool clip art for your own designs or also great for website and apps icons. Tags: Building, City, Hotel, Icons, Metro, Office, Roads, Structures, Urban. great vectors! I am gonna use them all in my school project ''zoo map'' thanks a lot!